Waratahs managed to return back to winning ways as they overcame Crusaders 20-12 in tough rainy conditions in their Super Rugby clash on Saturday. This is Waratahs' third win from five games as they hold the top place in the Australian Conference while Crusaders still claim the top place in New Zealand Group despite facing their first defeat of the season. Jed Holloway made full use of poor defence from Whetu Douglas as he went over the line in the fourth minute and Bernard Foley followed with the conversion. By the 11th minute, Kurtley Beale applied pressure on Crusaders and eventually allowed Cameron Clark to dot down for the second try to make it 12-0. By the half-hour mark, George Bridge riding on a pass from Codie Taylor touched down to get the first points for the Crusaders that was improved by Brett Cameron to reduce the gap to five points but Foley's penalty kick in the 39th minute meant the teams headed into the break with a 15-7 scoreline. As the rain picked up in the second half, the teams were struggling to score a point with Mitch Hunt missing a penalty goal for the Crusaders close to the hour mark. 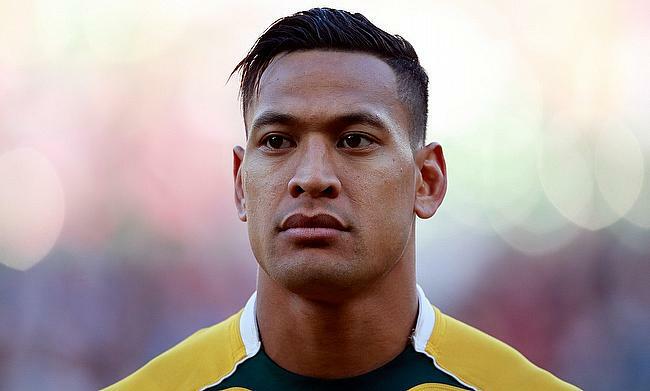 Any chance of the visitors closing the gap was put off when Israel Folau finally broke the deadlock in the 74th minute with a try to make it 20-7. Replacement Will Jordan crossed over in the added minutes to provide some consolation to the Crusaders but it was Waratahs, who went on to complete a 20-12 win.